Earlier this year, I got to know Steve Rezek of Performance Automotive Group. PAG has (2) brands under it’s banner, Performance Accessories and OR-FAB. The company makes its products in Chino Valley Arizona. Steve is an industry veteran with a ton of product design experience behind him. We were thrilled to be sponsored by OR-FAB for our Jeep Build. 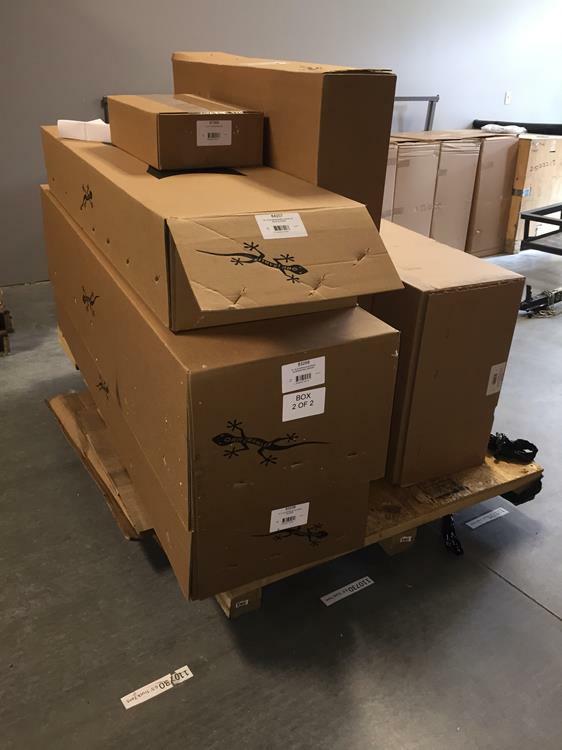 After receiving a pallet full of equipment, I had to decide where to begin. 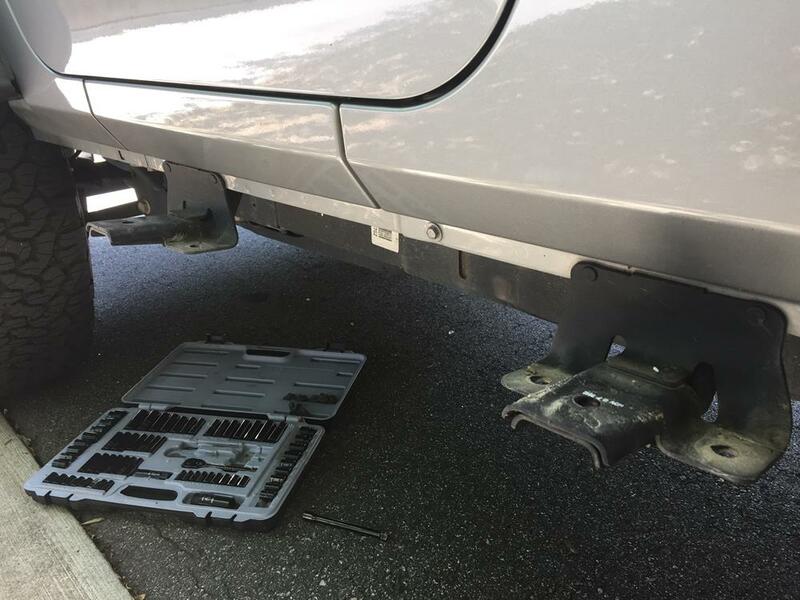 The installation of the rock sliders, OR-FAB’s Rocker Panel with Bars 84207, sounded like the lowest hanging fruit and a good place to begin. 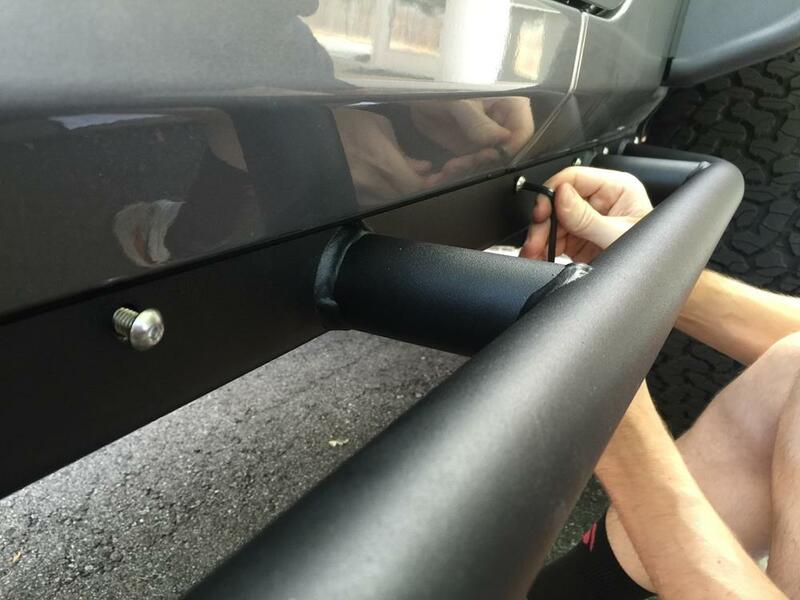 Rock sliders are heavy, so I recruited Rightline Gear’s QC Manager, Brian McManus, to help with the install. The most amazing thing up front was that OR-FAB’s shipping containers are absolutely bomb-proof. 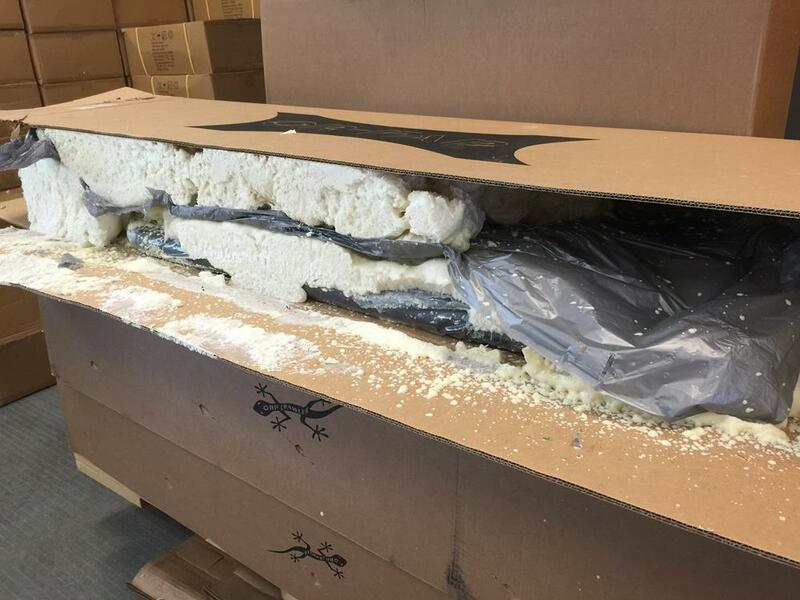 The expanding foam packaging does its job well. 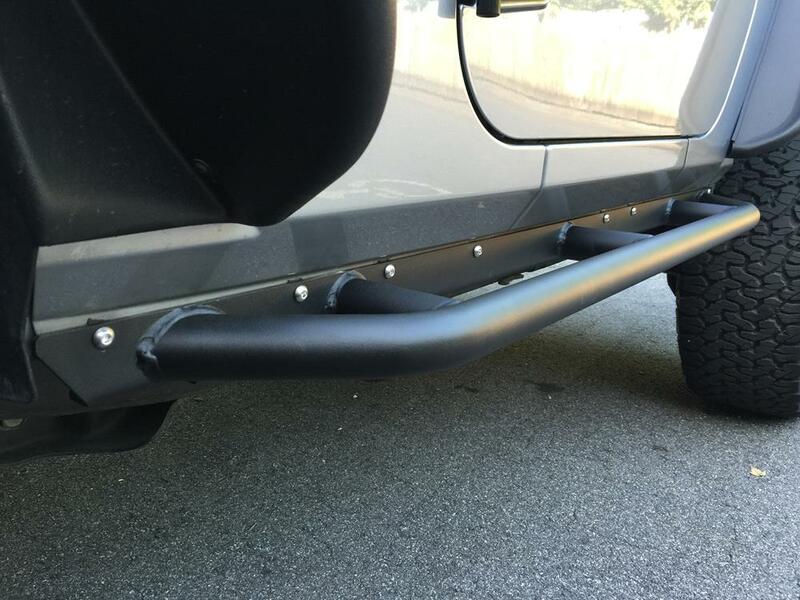 We started by removing the OEM side steps and (2) mounting brackets from the driver side of the Wrangler. The OEM side steps are entirely plastic and surprisingly light. Next, I cut off (2) welded-on nuts along the backside of the body seam with an angle grinder. Here is a tip; wear long sleeves when completing this step, those sparks are hot! We had to drill out the existing holes along the body seam, adding one new hole towards the rear tire. Next, we added u-nuts over the holes. 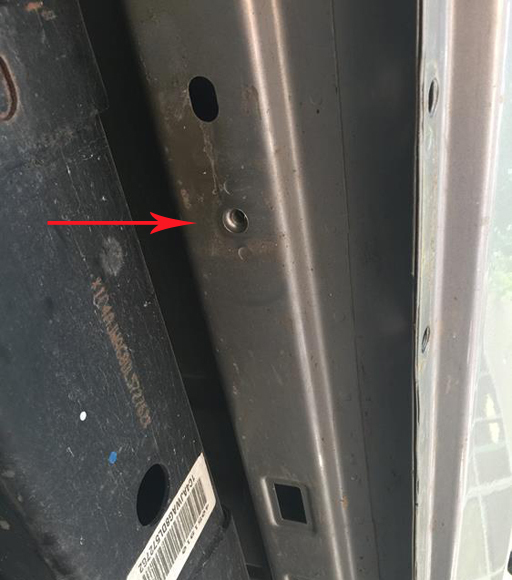 The u-nuts have threaded openings on their backside to receive the bolts that hold the rocker panel onto the body seam. 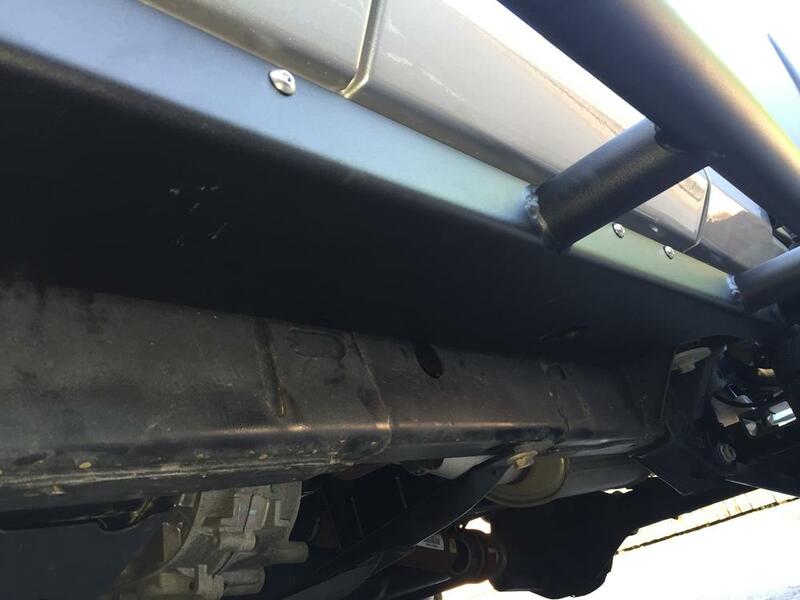 On the 2013 JK, there are (2) pre-threaded holes on the underside of the Jeep, used by OR-Fab to bolt the rocker panel in place. It was easier for us to thread these bolts 3/4ths of the way in before installing the side bolts into the u-nuts. 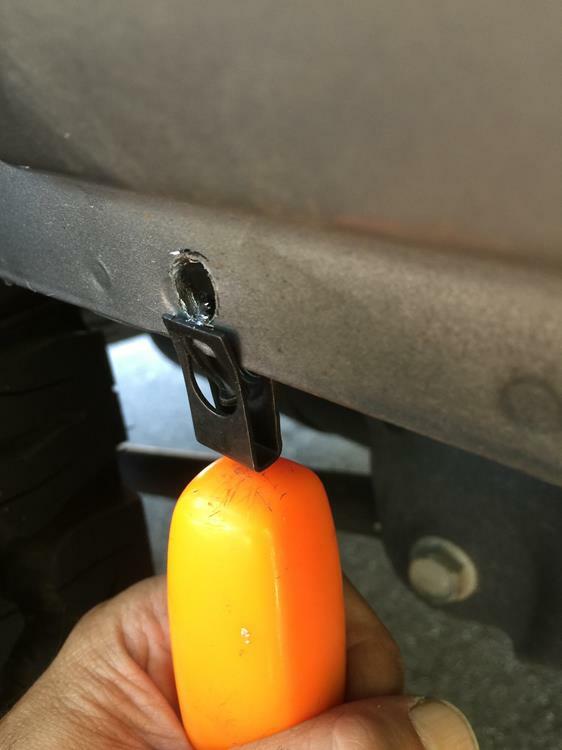 The side bolts are installed with a 3/8 inch allen wrench. Once we got the procedure down on the driver side, we were all set to tackle the install on the passenger side. Only one problem; we lost one of the main bolts that go into the underside of the Jeep. It was nowhere to be found. A quick trip to Ace Hardware solved the problem, but Brian and I have both sworn to fess up when one of us finds the missing bolt weeks from now, exactly where we don’t expect to find it. I should have placed money on this outcome-I am feeling pretty confident! 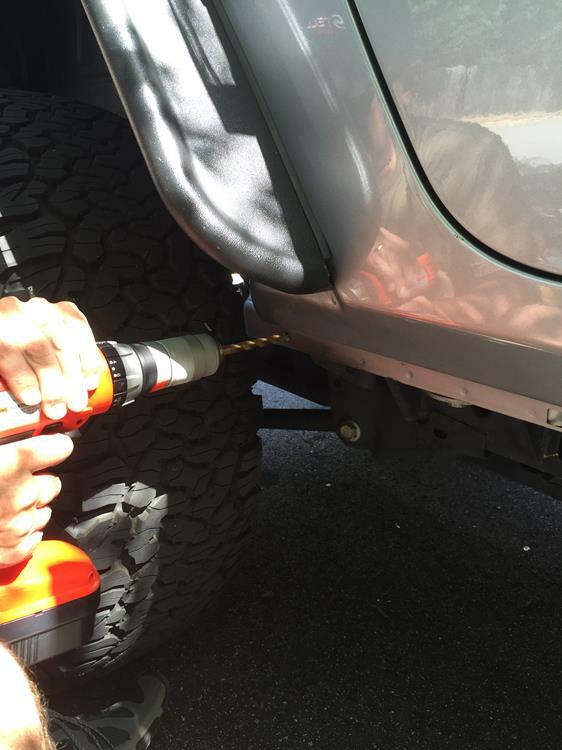 ….and they really protect the underside of the Jeep. The bar is easy to step on, getting in and out of the Jeep. Overall, another fantastic success story for the Rightline Gear Jeep Build!